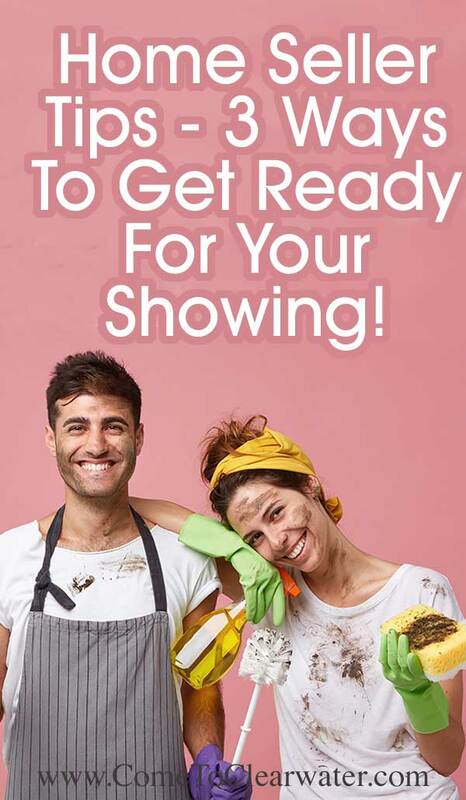 It’s finally time to get your home shown! Do you know what you should be doing before you leave to let the Realtor show it? 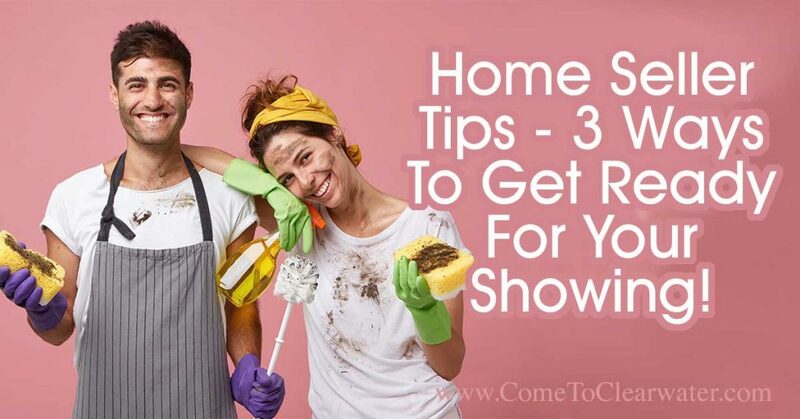 Here are some great ideas on how to make your home show perfect. First, make sure it’s spotless. Run the vacuum and dust through the whole house to pick up any dust, dirt or pet hair. No dust bunnies allowed! If possible, change the filter in your vacuum to one that uses a room air freshener to freshen up the smell of your home. Make sure that you also clean through the kitchen and bathrooms. No spots on the mirror. Put away tooth brushes, toothpaste, floss, brushes and combs. Put away any clutter and wipe down counters. If you find anything broken, fix it. Actually, before cleaning, throw some cookies in the oven to bake. The smell of fresh baked cookies is so homey and inviting. Since it would make a mess to whip up a batch from scratch, keep a package of “break and bake” packs of cookie dough to be able to quickly back up a batch. You could also make a batch of dough and then pull it out of the fridge when you want to bake a batch before a showing. While they bake do your quick (but thorough) clean through. Take the cookies out, put them on a plate, quickly wash the pan and put it away. After cleaning, open all the curtains and turn on the lights in each room. All that light will make your rooms appear clean, bright and larger. A day showing will let prospective buyers see how much light streams into your home. An evening show will show how well lit your rooms can be. Light is your friend! So set up your home for success. If you’ve ever bought or sold a home, you have an idea of what a home sale contingency is, but if you haven’t they are probably a mystery. 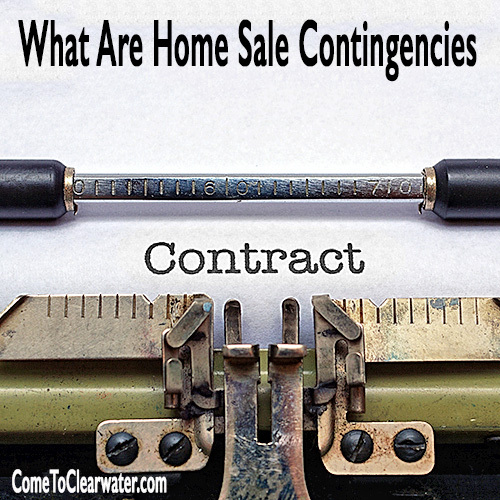 So what are home sale contingencies? A home sale contingency is a clause in a real estate contract. The contingency is a condition that is placed on the contract. Completion of the contract is dependent, or contingent, upon the conditions being completed. If they aren’t completed, or something goes awry, the settlement, and the sale of the home doesn’t take place. There are two types of home sale contingencies pertaining to the seller: sale and settlement contingencies; and settlement contingencies. A sale and settlement contingency is a condition that the buyer sells his or her existing home. It’s used when the buyer hasn’t received or accepted an offer to purchase their current home, and allows the seller to continue to list their home, in case the contract contingency falls through. Part of the contingency clause says that if the seller receives another offer, the buyer can either agree to purchase without the contingency or back out of the contract and allow the seller to take the other offer. A settlement contingency is used when the buyer already has a contract on their property and a settlement date is scheduled. Since a sale isn’t final until settlement, this protects the buyer if their settlement falls through. This contingency also prohibits the seller from accepting other offers on their property for a period of time. Other kinds of contingencies protect the buyers. These deal with having inspections done. They provide the buyer’s an out if the home inspection or other inspections like well and septic or pest inspections are not good. They usually specify an amount that the seller may be responsible to pay to fix problems, and each side has the out if the problems are more expensive than the contingency provides for. So how can a seller not get burned on a sale and settlement or settlement contingency? First, make sure the buyer has a home and it is listed for sale. Next, make sure it is listed at the best market price, and see how long it’s been listed. In other words, do your homework on their listing like you did for your own.